Self-adhesive, heat and light reflective tape. 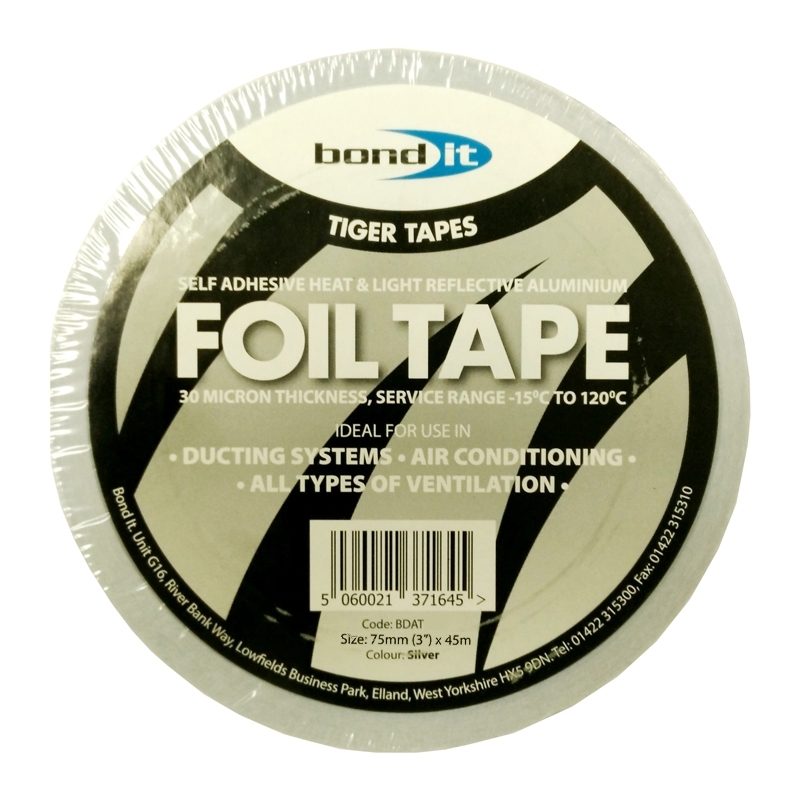 Suitable for use as a vapour barrier between foil faced insulation panels in roof and wall applications, duct sealing on all types of air conditioning and ventilation, and also for protecting wires and pipes from heat. Ensure surfaces to which tape is to be applied are clean and dry. Remove the outer packaging from the roll of tape and peel the required amount of tape from roll pressing firmly into place while unrolling. Tear off or cut with a knife when finished. Store in cool and dry conditions between 5 and 25°C.